Find out more about Halifax during WWI through the artworks in the exhibition Halifax Harbour 1918: Harold Gilman and Arthur Lismer. 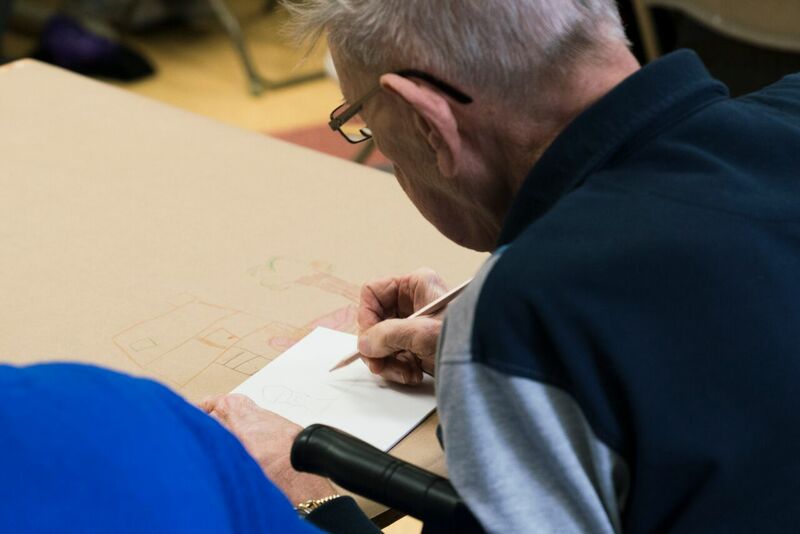 Painting and drawing allows those with dementia to express themselves in meaningful ways. The Art Gallery of Nova Scotia and the Alzheimer Society of Nova Scotia are partnering to provide a fun and creative program for people with dementia and their partner in care. Spend a relaxing afternoon creating art, with an artist, and enjoying an interactive tour of Art Gallery of Nova Scotia. No experience necessary. To register, please call the Alzheimer Society of Nova Scotia at (902) 422-7961, Ext. 224.